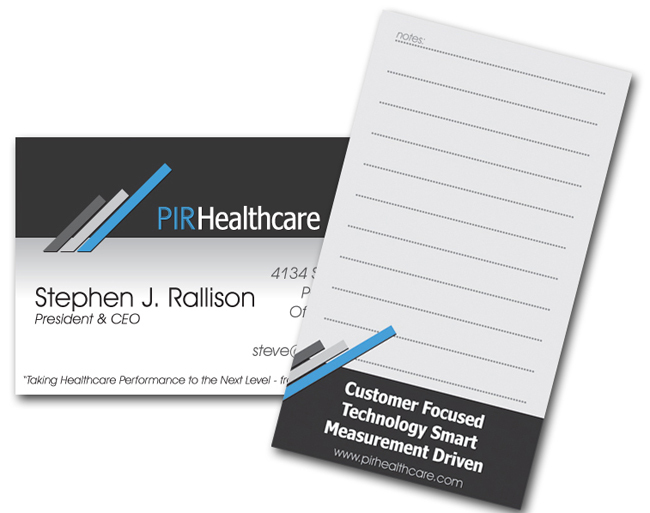 PIR Healthcare asked us to design a logo and business card that accurately represented their brand. They are a medical consulting company so they wanted a dual use business card so they could both hand out contact information and leave notes on the back. We designed a card that had a glossy coating on the front and a matte coating on the back so that it could be easily written on. The logo we designed to include on this card features multiple levels symbolizing the increasing levels of success a business can achieve through increased productivity.